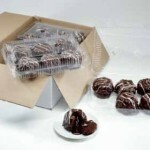 cake contains a decadent chocolate center and is enrobed in chocolate for an even more appealing dessert item. And they’re Trans Fat free too! 5.5 oz. 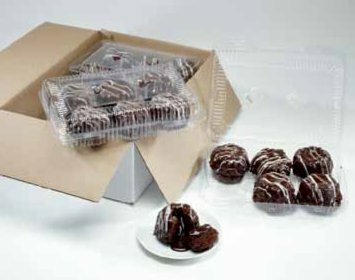 Double Chocolate Infusion Pack: 24 cakes (four 6-packs); case dimensions: 18.75”x13”x6.5”; case wt. 9.25 lbs. ; cube .92; TiHi 11/7.